Presque Isle in Lake Erie (one of the U.S. Great Lakes), Pennsylvania, is a recurved sand spit with seven miles of shoreline facing the open lake. The width of the spit ranges from 20 to 30 meters at the narrow neck where it connects to the mainland to as much as a mile near Gull Point. There is a dominant longshore drift along the length of the spit from its neck toward the northeast. The spit (peninsula) probably originated as a glacial moraine but its present-day surficial character and evolution are entirely related to lake processes. 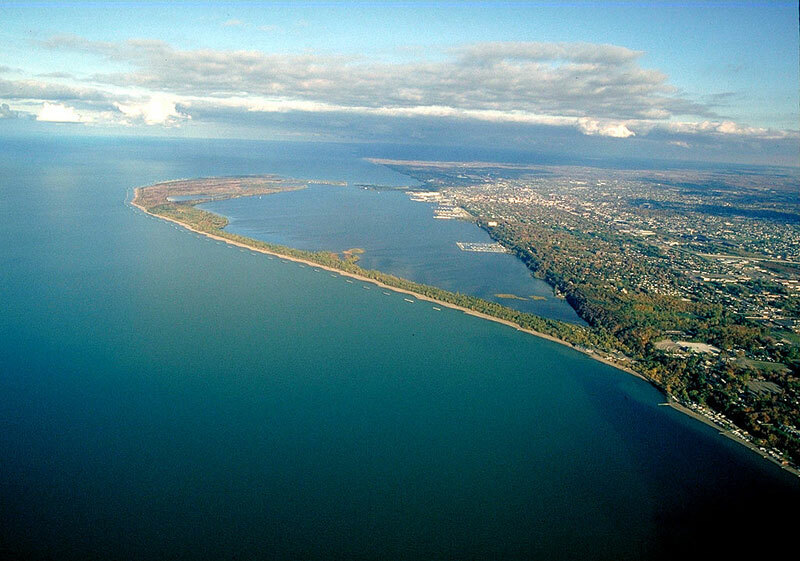 The peninsula, with its wide variety of wildlife, its forests, marshes, ponds, dunes, and beaches, surrounds Presque Isle Bay and protects the Erie harbor. Presque Isle is a widely used Pennsylvania state park and also a National Natural Landmark, a designation that is one step below a national park. 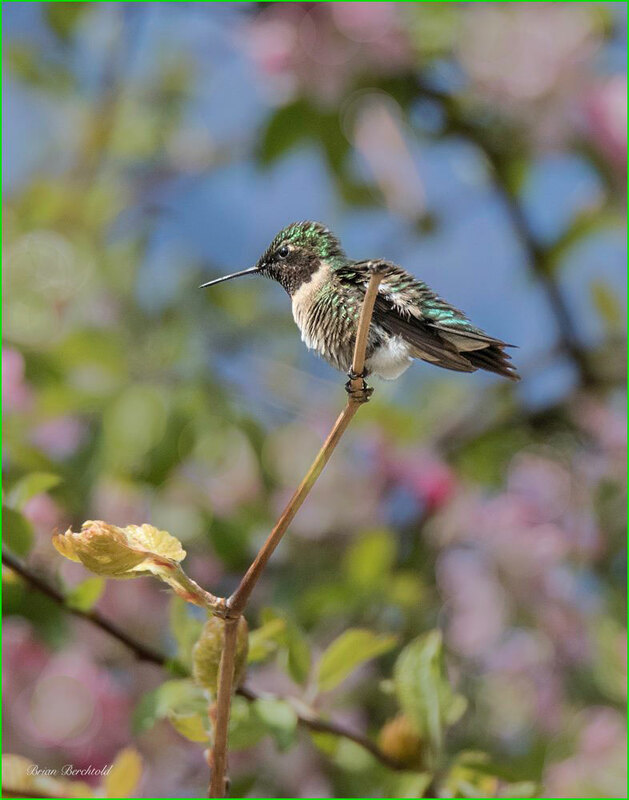 As many as 4 million visitors enjoy the beautiful park each year, in all seasons, for a variety of activities that include hiking, bird watching, skiing, and fun at the beaches. 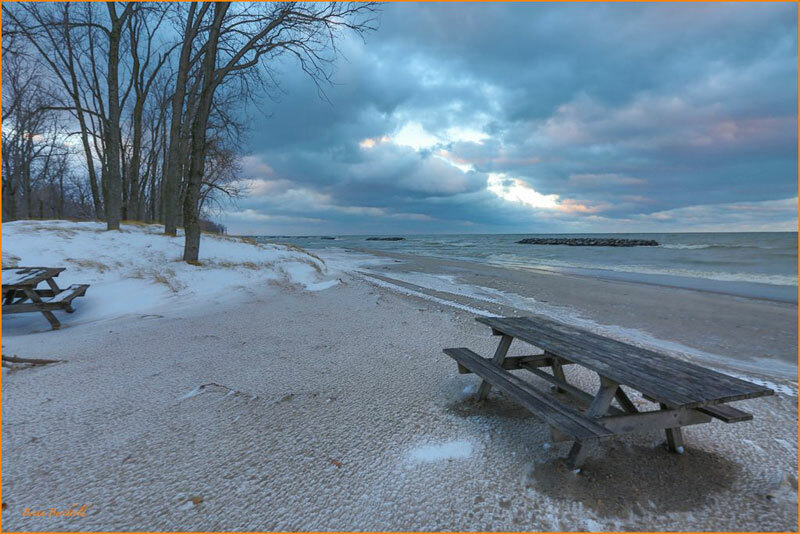 At Presque Isle, the public continues to take advantage of the only “seashore” in Pennsylvania and enjoy its varied and picturesque landscapes. At the northeastern tip of the peninsula is Gull Point which was once a 200-acre forested area with large wetlands. 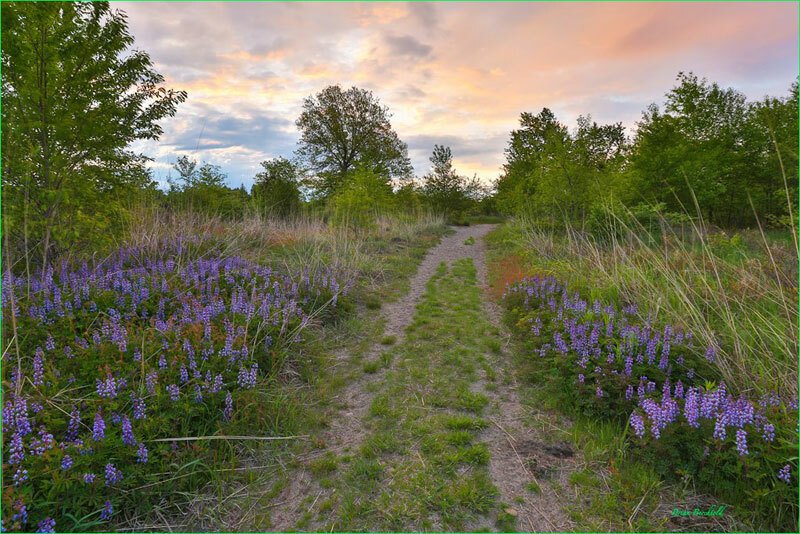 The Point is an unusual area with a unique succession of plant life, ranging from a sandy, freshwater environment to a climax forest, all within a few hundred yards. The beaches along the peninsula consist of a wide variety of grain sizes ranging from fine to coarse quartz and lithic sands and small pebbles. The spit was subjected to minor erosion, although the senior author of this article observed that occasional overwash by storm waves crossing the highway and flooding parking lots was considered to be a major problem. Shoreline erosion seemed to be a less important factor. Groins and seawalls had previously been installed in some places along the spit, but beach replenishment has been the mainstay of erosion control since the 1950s. But, when minor erosion occurred along the entire spit, government and public entities debated a variety of possible solutions to the perceived problem. The preservation of Gull Point was a central issue in the contentious public debate which went on for more than a decade. 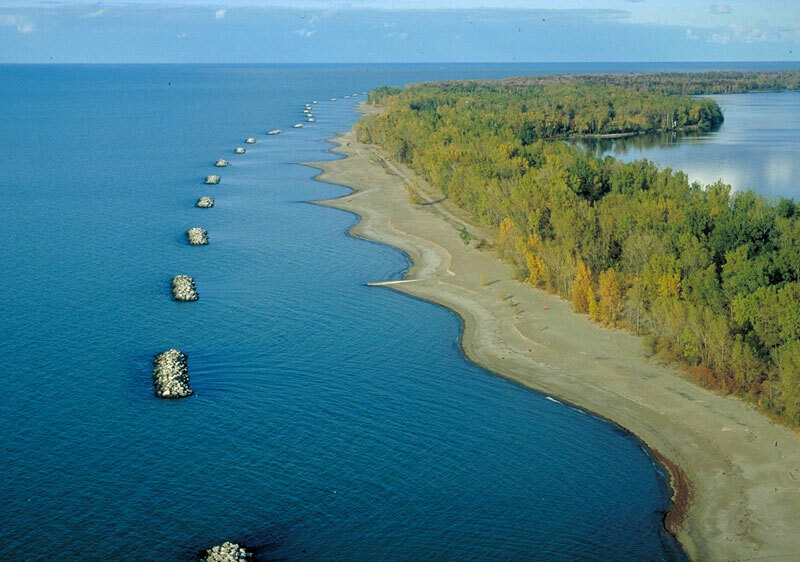 The segmented offshore breakwater solution was chosen by the U.S. Army Corps of Engineers (USACE), Buffalo District, and the breakwaters were completed in 1992. In total, 55 boulder breakwaters were built, each 150-feet long, parallel to the shoreline and separated from one another by 350 feet. Total cost in 1992 dollars was around $30 million. The Corps of Engineers claimed that the segmented breakwater idea was a passive, permeable, non-intrusive, and permanent solution to the erosion problem. From an environmental standpoint, the most important design assumption was that sand would flow behind the breakwaters toward the tip of the spit and thus preserve the forest and wetlands. In 1978, the Corps had constructed three experimental breakwaters to test whether sand would flow behind them. Instead, these breakwaters halted most of the sand flow and caused immediate severe downdrift erosion which the Corps attributed to a storm rather than to a fundamental problem with the breakwater design (which it was). Even the Corps’ Coastal Engineering Research Center supported the impossible conclusion of continuous flow of sand behind the breakwaters. Immediately after the construction of the breakwaters, Gull Point began to erode rapidly because of the loss of sand. Before the 55 breakwaters were emplaced, the Moffatt and Nichol consulting firm said the project would not work as the design of the project was faulty and sand would not flow behind the breakwaters. Clearly the flow of sand behind the breakwaters was a scientific impossibility because wave patterns are unpredictable. It was clear that the offshore breakwaters were a “done deal” as far as local and state politicians were concerned. The negative consultant report and even the failed experimental breakwaters had no impact on the decision to go ahead with the project. Offshore breakwaters rarely allow sand transport behind them. Breakwaters are designed for a certain local wave type coming from a certain direction. If the waves were always the same type coming from the same direction, sand transport could occur behind the structures if they are spaced correctly. But nature is never uniform and predictable, and wave conditions vary. As a result, sand doesn’t flow along the shore but builds up between the beach and the breakwaters, forming tombolos. The tombolos on Presque Isle are removed periodically and the sand is placed on the beaches, a form of beach replenishment. The Corps states that the beach is annually nourished with stockpiled sand or sand dredged from an offshore source. Each year approximately 55,000 tons of additional sand are needed to offset impacts of annual erosion. Since before the installation of the breakwaters, beach replenishment has provided fine swimming beaches that the park regularly grooms to keep them smooth and debris-free. Early in 2016, the Presque Isle State Park beaches placed first in the “Best Freshwater Beach” category of nationwide, online voting in a travel award contest sponsored by USA TODAY. After the breakwaters were constructed, the Corps of Engineers received several awards for the project from a number of organizations. These included the Michigan Society of Professional Engineers, the American Society of Professional Engineers, and the American Shore and Beach Preservation Association (ASBPA). The bottom line is that more than 20 years after the offshore breakwaters were constructed, their success was determined without considering the original assumptions of the project design, the most important of which was the promised preservation of the forest at Gull Point. Ignoring original assumptions and declaring success means that nothing was learned from the failures of the offshore breakwater project. The Gull Point shoreline beyond the last breakwater has retreated more than 500 feet since 1992. The sand eroded from Gull Point has extended the very tip of the spit and added more than 5 acres of land area, but this is not the treasured original wetland-forest environment. Instead, it is a large sandbar with little vegetation. It is anticipated now that an inlet will form where the Gull Point forest once existed and the point will become an island. In the meantime, annual replenishment is required to maintain the beaches, but this sand contribution has not helped to preserve Gull Point. Erosion along the shore continues. 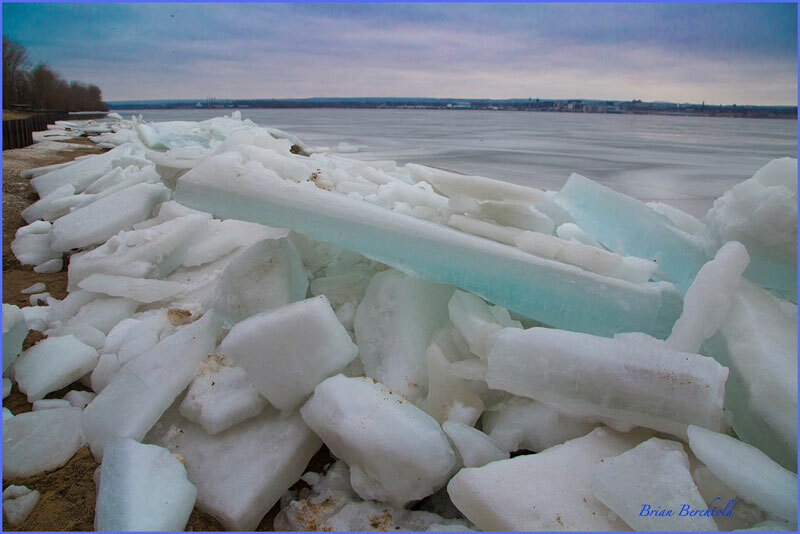 Park Guide 21 for Presque Isle notes that even though Lake Erie rarely freezes all the way across, ice forms along the shore during most winters. Due to warmer weather conditions, less sea ice forms. The U.S. Army Corps of Engineers reported in April 2016 that “this year, due to the lack of protective ice cover, the beach was exposed to battering wave action throughout the winter. As a result, significant erosion has occurred along the length of Presque Isle” (DredgingToday.com). This bears a resemblance to situations along Arctic shorelines, for example, the Alaskan villages of Shishmaref and Kivalina, and many other small Arctic villages in Siberia, the north slope of Alaska, and northern Canada. In these places, sea ice no longer forms in September but forms much later, in November. The late freeze-over exposes beaches to the fall storm season, leading to increased erosion. There are two important lessons to be learned from the failure of the breakwater project. • Declarations of success or failure of coastal engineering projects should be carried out by independent parties who have nothing to gain. • Success or failure of a project should be based on the original design parameters. 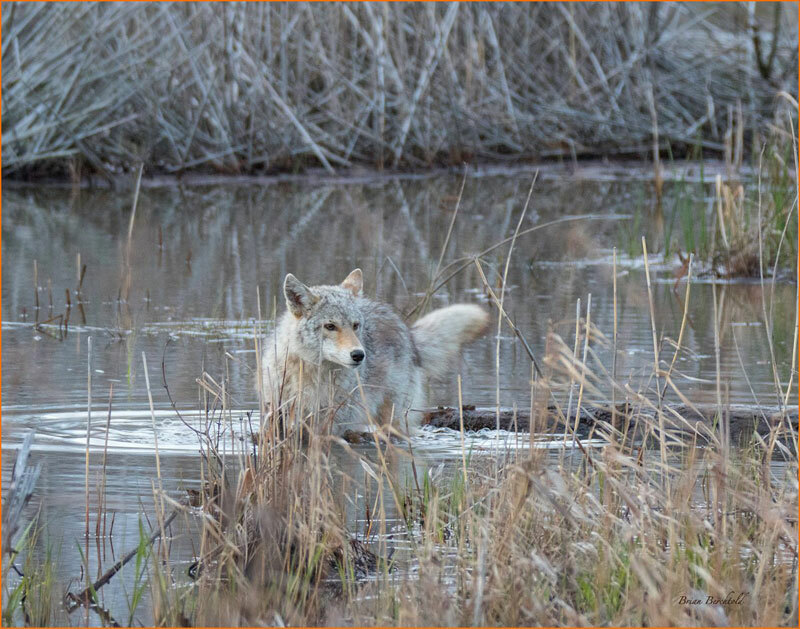 In this case, the Corps of Engineers assured the public that Gull Point would be preserved, (and thereby gained the support of the environmental community), but it will not be long before the Gull Point forest will be going, going, gone. Brady, Terry. “Presque Isle State Park Beaches Place First in National Competition.” Pennsylvania Department of Conservation and Natural Resources. March 23, 2016. Delano, Helen L., Pennsylvania Geological Survey, Pennsylvania Department of Conservation and Natural Resources, Bureau of Topographic and Geologic Survey. 1991. 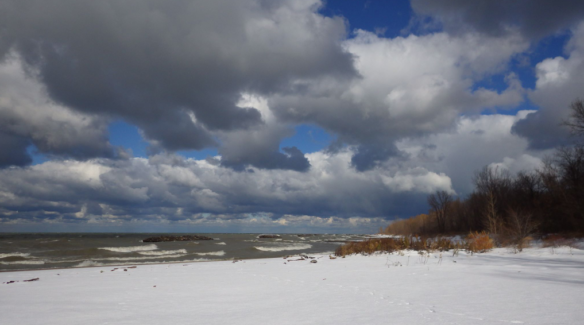 “Presque Isle State Park, Erie County: A Dynamic Interface of Water and Land.” Pennsylvania Trail of Geology, Park Guide 21. Fatica, Alex. “God’s beautiful gift, close to home.” Spring 2009. Pennsylvania Center for the Book. Gorecki, Richard J., and Joan Pope. August 1993. “Coastal Geologic and Engineering History of Presque Isle Peninsula, Pennsylvania.” U.S. Army Corps of Engineers, Waterways Experiment Station. Miscellaneous Paper CERC-93-8. 100 p.
Massing, Dana. Erie Times-News, April 6, 2016. Millette, Christopher. 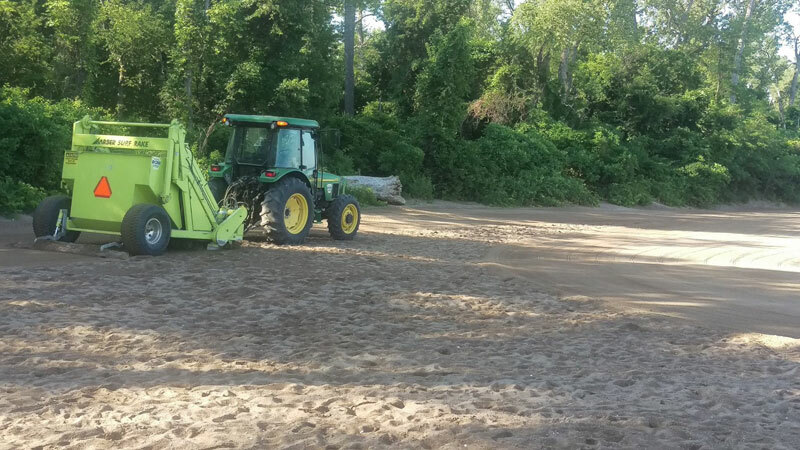 “Presque Isle beaches open after sand replenishment.” Erie Times-News, July 17, 2014. Nummedal, Dag. 1983. “Sediment transport and morphodynamics of the Presque Isle shoreface.” Technical Report No. 83-1, Louisiana State University, Baton Rouge, LA. Pilkey, Orrin H. 2012. “Presque Isle Breakwaters: Successful Failures?” in J.A.G. Cooper and O.H. Pilkey (eds. ), Pitfalls of Shoreline Stabilization: Selected Case Studies, Coastal Research Library 3, DOI 10.1007/978-94-007-4123-2_9, Springer Science_Business Media Dordrecht. p. 131-139. Pilkey, Orrin. H., and Katharine L. Dixon. 1996. 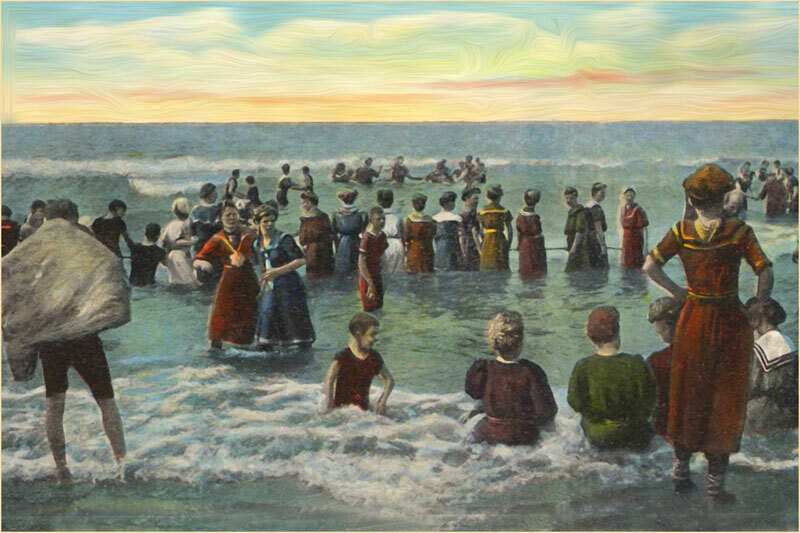 “Presque Isle: The End of a Beach,” in The Corps and the Shore. Washington, D.C., Island Press. p.145-171.